We are pleased to be able to offer affordable rental space for classes, meetings, retreats, luncheons, lectures, or b’nei mitzvah events–just to name a few occasions that have occurred in our 12,500 square foot building. Located in Oakland at the intersection of Forbes Avenue and South Craig Street, the Hillel JUC building is in the city’s university district near both Carnegie Mellon University and the University of Pittsburgh. Our staff will be happy to help you plan your event at the Hillel JUC and to work with the party planner, caterer, or other service provider of your choice. 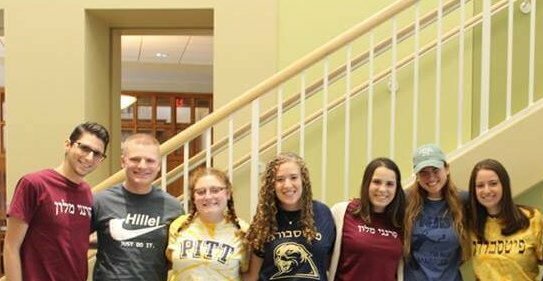 To schedule a tour or find out more about holding an event at the Hillel JUC, please contact Jennifer Poller, Director of Operations [email protected] or 412-621-8875.